The importance of this book cannot be overstated, for herein all the essential teachings of the Vedas are concisely expounded. These gems are revealed by the spiritual and intellectual brilliance of Srila Bhaktivinoda Thakura and illuminate all who will glance this way with the guiding light of Vedic truth. In these pages, the devotion of the Thakura to Sri Krsna Caitanya Mahaprabhu is wonderfully predominant. 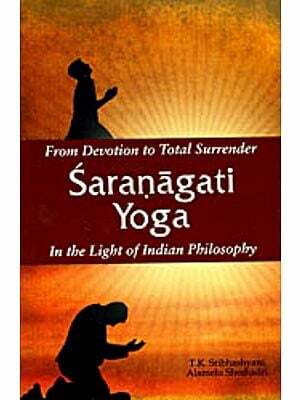 However, at the time of writing, the start of the twentieth century, the effulgence of Vedic knowledge was all but covered. Misinterpretation, speculation and condemnation were the order of the day as a means of approach to the oldest literature of mankind - the sacred vedas. Spirituality was outmoded; the darkness of materialism, godless economic development and sensual pursuits were the programme for the ‘modern’ age. But the would have none of that. 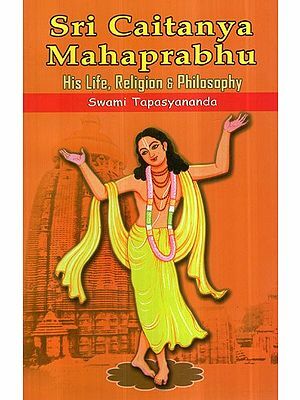 His life’s mission became to re-establish and present, in their original pristine purity, the transcendental tenents of Sri Krsna Caitanya Mahaprabhu, whom he came to term as the “Eastern Savior.” During March 1486, as the full moon arose, Sri Mahaprabhu appeared in Sri Mayapura Dhama, Navadvipa, West Bengal, India. His advent and activities are foretold in Srimad Bhagavatam (11.5.32). An incarnation of the Supreme Absolute Truth, Sri Krsna, as a devotee, to teach and mercifully bestow loving devotion to Himself upon ailing mankind. However, at the time of the Thakura, few knew and still fewer properly practiced the sublime transcendental tenents of Sri Gauranga Mahaprabhu. The pure spiritual lila of the transcendental world, revealed particularly in Srimad Bhagavatam, had been misrepresented as equivalent to mundane, condemnable activities. False imitationist gurus and devotees were guiding gullible foods on the path to Hell by their perverted practices-and all in the name of Sri Gaura Hari. A renowned intellectual, poet, scholar, linguist, philosopher of Calcutta and himself a respected responsible Deputy Magistrate of the then British Government, were all ornaments of Srila Bhaktivinoda Thakura, then known as Kedarnatha Datta. Yet, he studied humbly at the feet of his spiritual preceptors-in particular, Srila Jagannatha Dasa Babaji in whose heart the correct parampara understanding of Sri Gauranga mahaprabhu shone brightly. The Thakura started a vigorous campaign of Krsna consciousness helped, most notably, by his son, Bimala Prasada, who was to become the celebrated Srila Bhaktisiddhanta Sarasvati Thakura Prabhupada, the spiritual master of Srila A.C. Bhaktivedanta Swami Prabhupada, who was to spread the teaching of Mahaprabhu globally by founding the International Society for Krsna Consciousness. The undaunted efforts of Srila Bhaktivinoda knew no bounds and great success followed his heroic struggles and campaigns. Books essays, magazines, poems, songs and commentaries flowed like the unstoppable Ganges from his pen. Preaching centres for the distribution of the Holy Name were founded and the lost site of Sri Gaura Hari’s transcendental birth revealed. The nectarine beverage of pure devotion to Sri Krsna flooded the land and is now available worldwide by the efforts of his spiritual descendants. The debt we owe such a devout devotee of Sri Gaura Hari is beyond calculation; let us bow our heads at his feet hoping that the dust thereof will become our only treasure. To this day, reverence for his name increases throughout the world. In the pages of this book stand proudly the ten pillars of the temple of Vedic Truth erected by the Thakura in his preaching work - the Dasa-mula-tattva. These ten essential truths were mined from the fertile fields of the Vedic sastra by Sri Nimai Pandita Mahaprabhu Himself. They contain the whole gamut of Vedic knowledge and all are invited to study, memorize, contemplate and realize them for the successful practice and propagation of Krsna Consciousness. 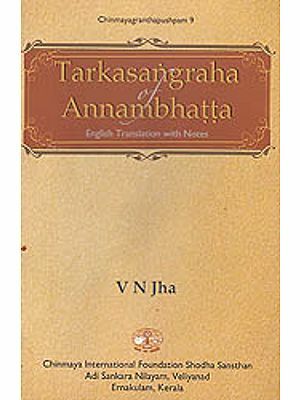 The Dasa-mula-tattva is a central work of Vaisnavism and the blueprint of the Thakura’s blessed teachings with which all spiritual aspirants should be deeply familiar. In 1896, the Thakura himself predicted that the time was arriving when all philosophies and religions would flow into the find their fulfillment in pure Vaisnava Sanatana-dharma, the eternal religion of all souls toward the Supreme Personality of Godhead, Sri Mahaprabhu. When one attentively and without prejudice studies the Dasa-mula-tattva, one must agree. To play a small part in the presentation of such perfection is the mercy of Srila Bhaktivinoda Thakura upon the translator, editor and many souls involved in this first English publication. In particular, we wish to mention H. H. Vipra Mukhya Maharaja for his computer expertise and Saksi-gopala Dasa for his assistance in layout and proofreading. We hope the learned and respected readers will bless us and forgive any errors in our efforts. Jai Sri Krsna Gaitanya Mahaprabhu! In the pages of this book stand proudly the ten pillars of the temple of Vedic Truth erected by Srila Bhaktivinoda Thakura in his preaching work. These ten essential truths (Dasa-mula-tattva) were mined from the fertile fields of the Vedic sastra by Sri Mahaprabhu Himself. They contain the whole gamut of Vedic knowledge. Humanity is invited to study, contemplate and realize them for the successful practice and propagation of Krsna Consciousness. The Dasa-mula-tattva is a central and concise work of Vaisnavism and the blueprint of Srila Bhaktivinoda Thakura’s blessed teachings.